Brain Matters Wellness, in St. Catharines, Ontario, welcomes Monika Pimm from Breast Thermography International back to our new location! Our next Clinic Days are: Sat. Sept 7th and Thurs. Sept 12th. Book your Breast Health Screening or Full Body Thermal Imaging appointment today, because your Body Matters too!! 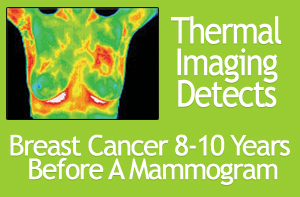 Advanced thermography is a far superior alternative to mammography. This procedure does not use mechanical pressure or ionizing radiation and can detect signs of breast cancer years earlier than either mammography or physical exam. Thermography is able to detect the possibility of breast cancer much earlier, because it can image the early stages of angiogenisis. Angiogenesis is the formation of a direct supply of blood to the cancer cells, which is a necessary step before they grow into tumors. Thermographic breast screening is brilliantly simple. Thermography measures the radiation of infrared heat from a woman’s (or man) body and translates this information into anatomical images. 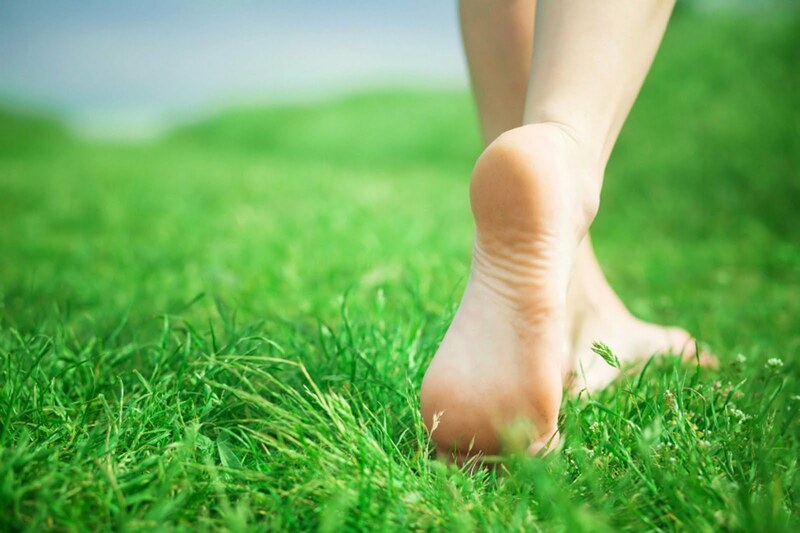 Normal blood circulation is under the control of the autonomic nervous system, which governs unconscious body functions. To screen for breast cancer, a thermographer blows cool air over the breasts. In response, the autonomic nervous system reduces the amount of blood going to the breast, as a temperature-regulating measure. However, the pool of blood and primitive blood vessels that cancer cells create is not under autonomic control and is unaffected by the cool air. It will therefore stand out clearly on the thermographic image as a “hot spot”. Many women, including some doctors, fear mammograms are causing over-treatment and resulting in more cases of cancer. According to a study published by scientists in the New England Journal of Medicine, 1.3 million US women have received unnecessary and invasive cancer treatments including surgery, radiology, hormone therapy and chemotherapy over the last 30 years. 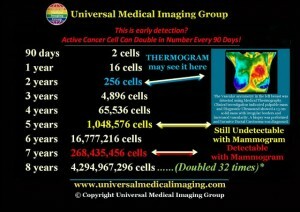 This is in large part due to routine mammograms detecting harmless tumors. Other studies conducted in European countries have concluded mammograms reduce the risk of death from cancer by less than 10 percent or not at all. 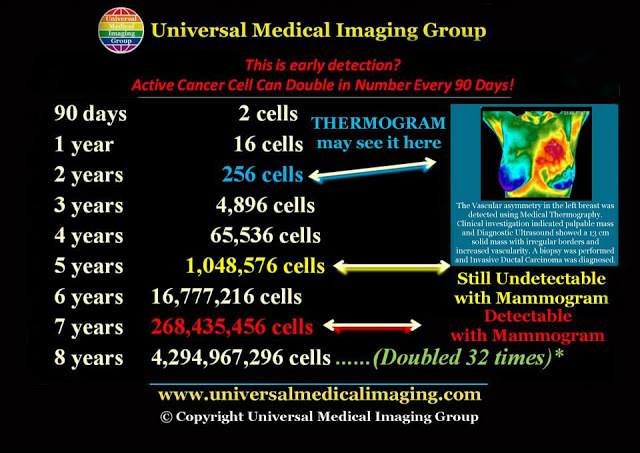 Thermography can reduce the number of false positives and over-treatment of breast cancer by demonstrating whether a tumor is metabolically active or not when combined with anatomical testing. Over 20,000 cases of breast cancer have been reported annually in women under the age of 40. This population has been consistently neglected by traditional breast cancer screenings. When cancer strikes younger women, it is typically a more aggressive form and is less likely to respond to treatment. There is currently no other routine screening test for women under 40. Thermography is an ideal test for this age group considering it is raditation-free screening. Is this service available today? I’m in need, trying to voice more invasive testing….